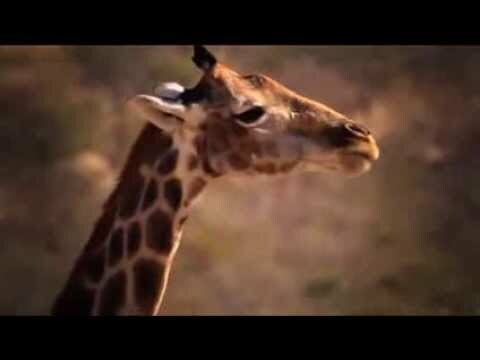 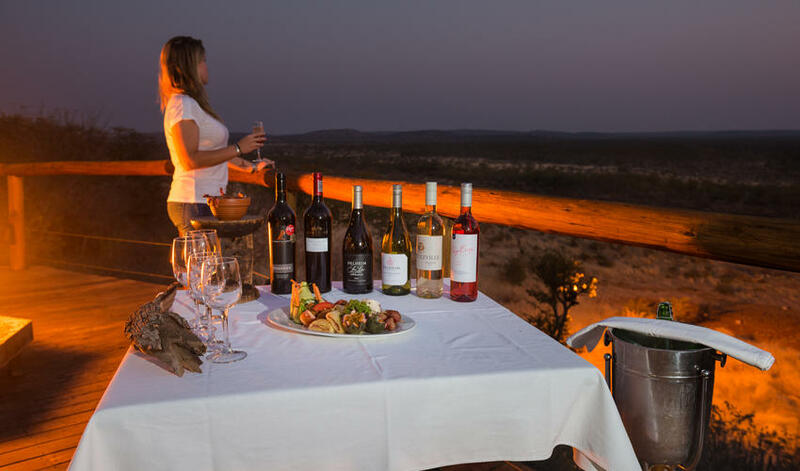 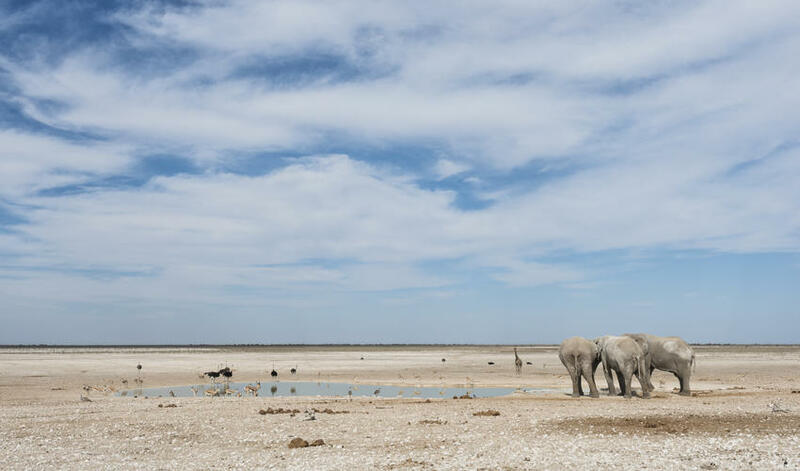 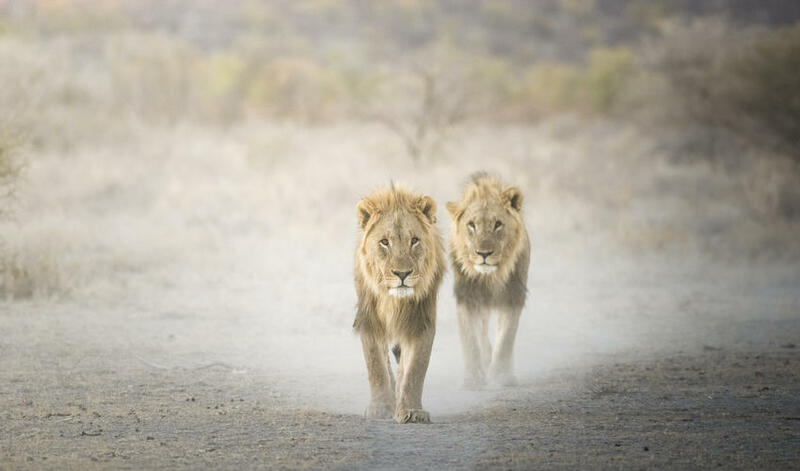 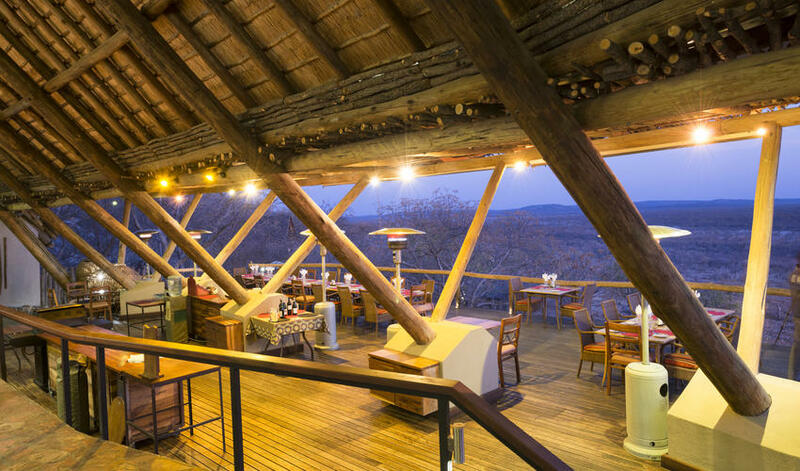 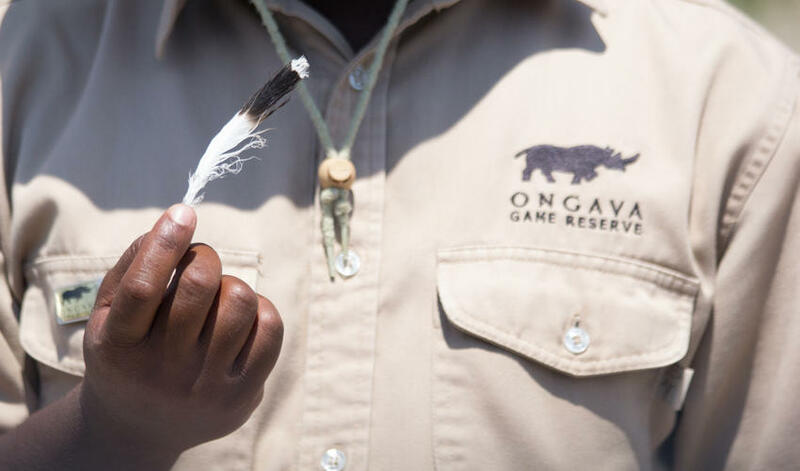 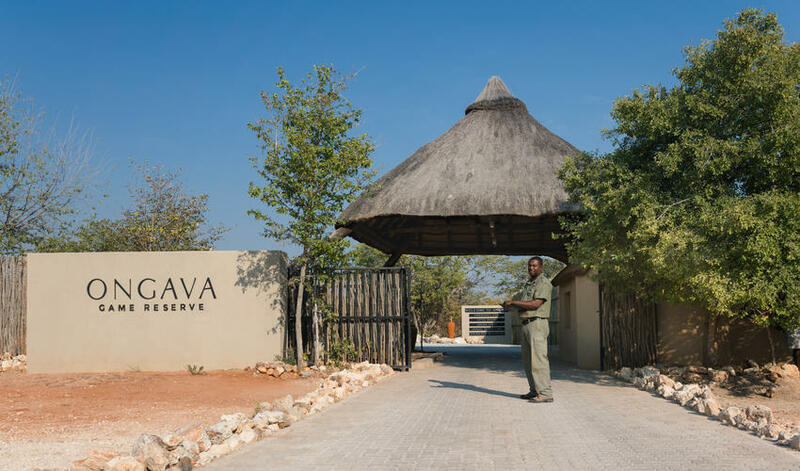 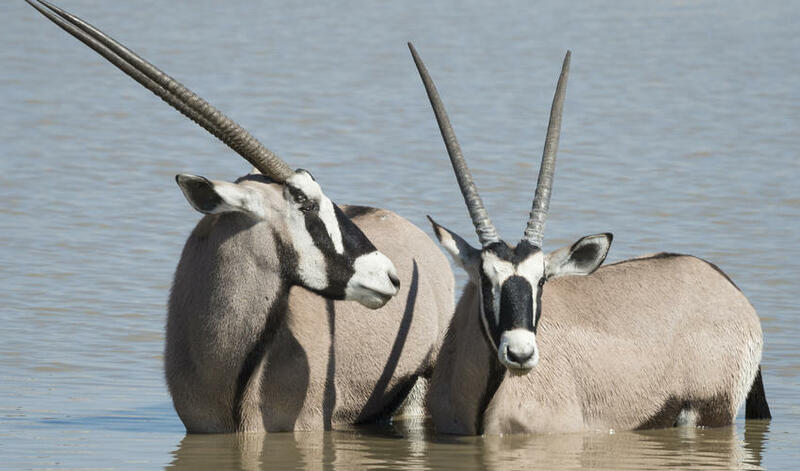 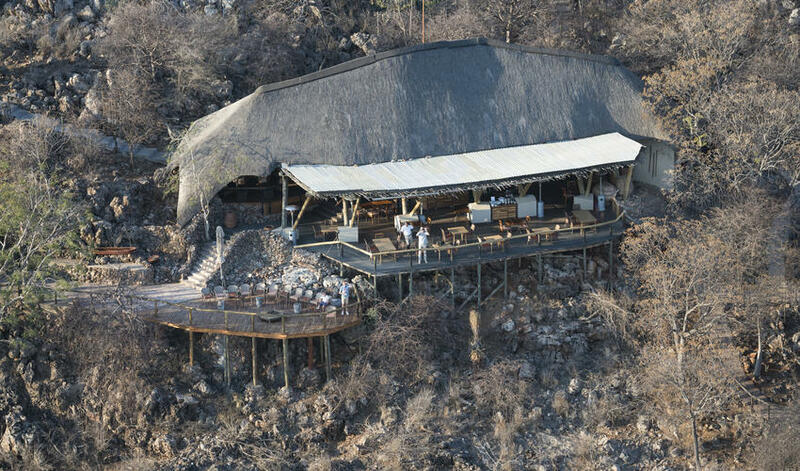 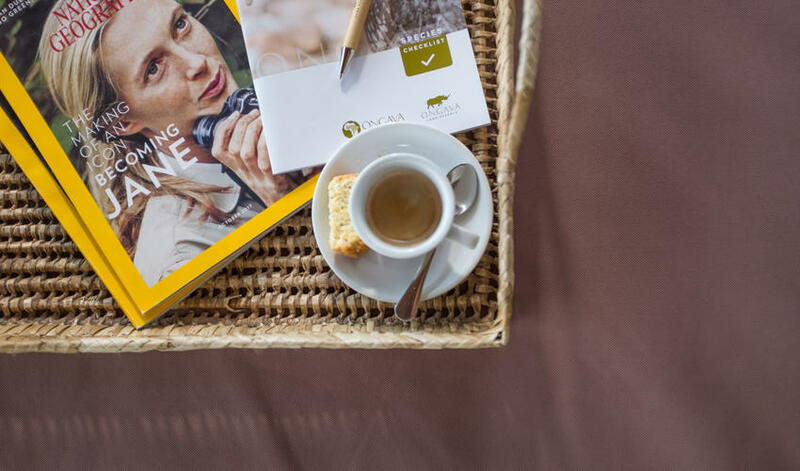 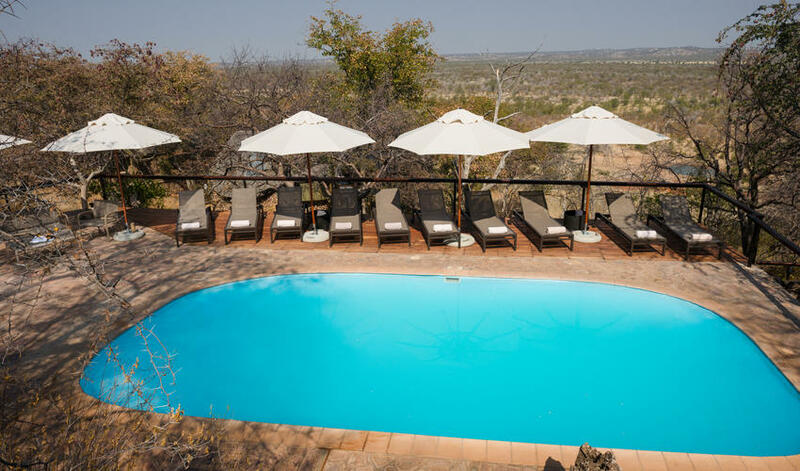 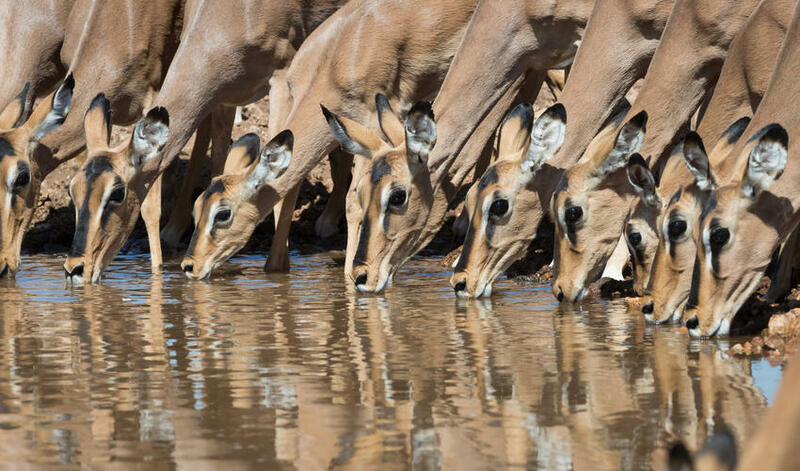 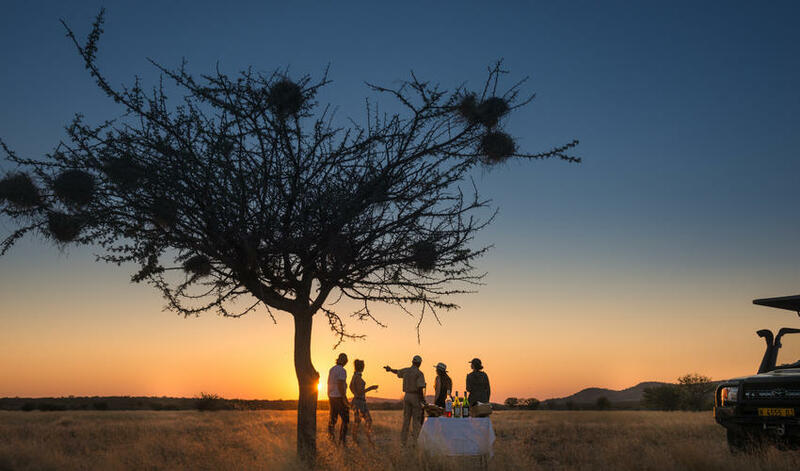 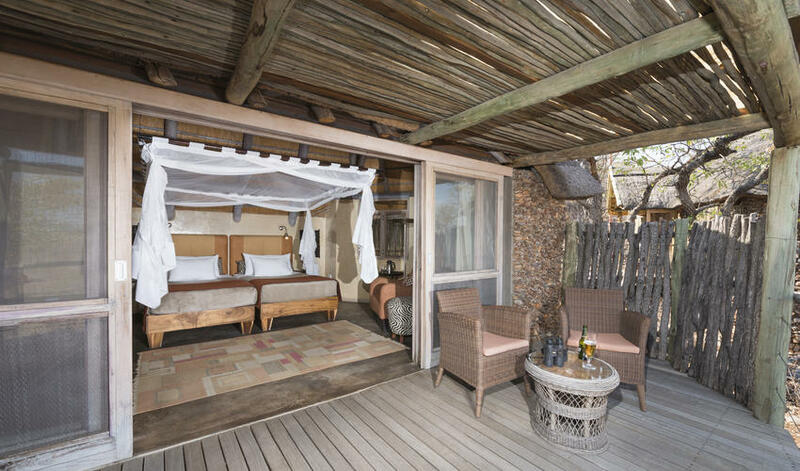 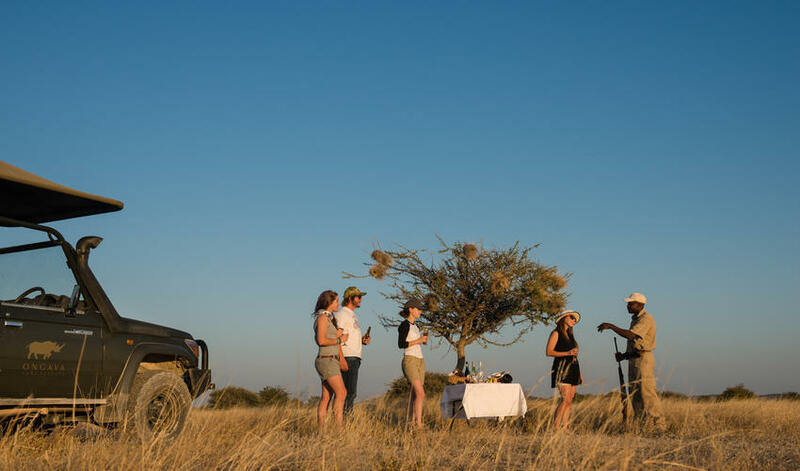 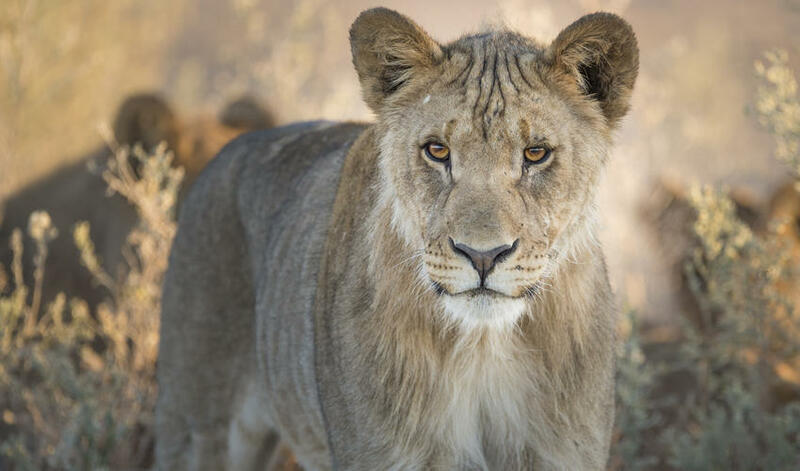 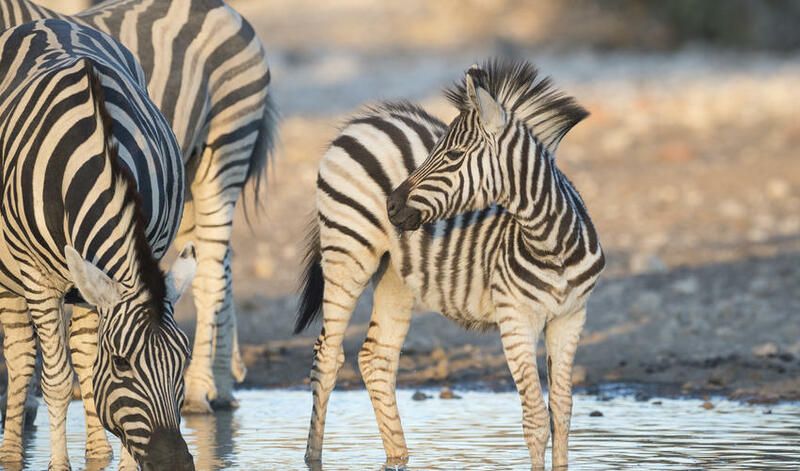 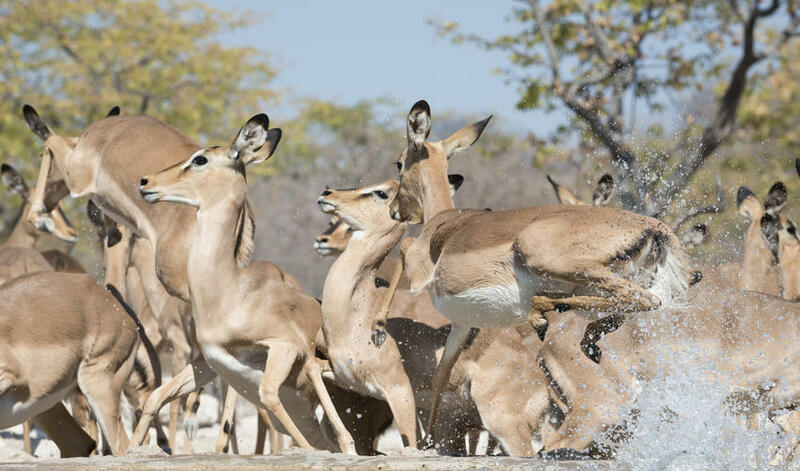 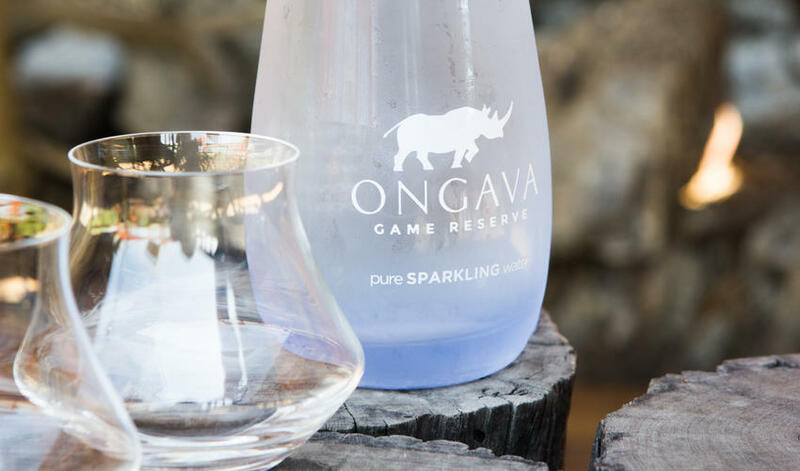 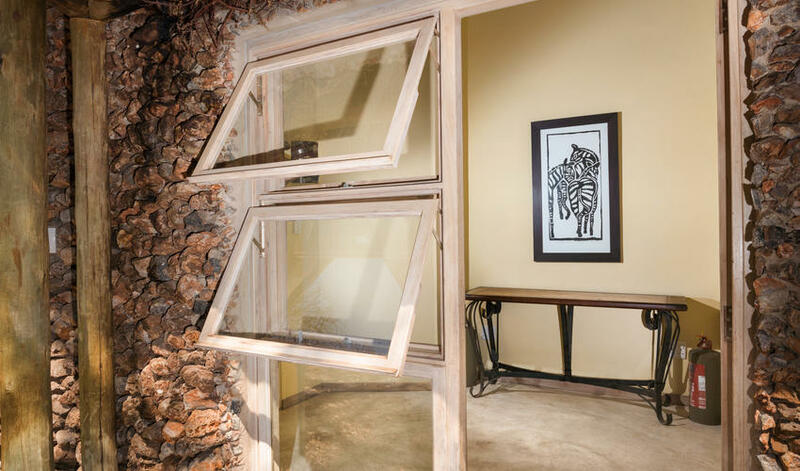 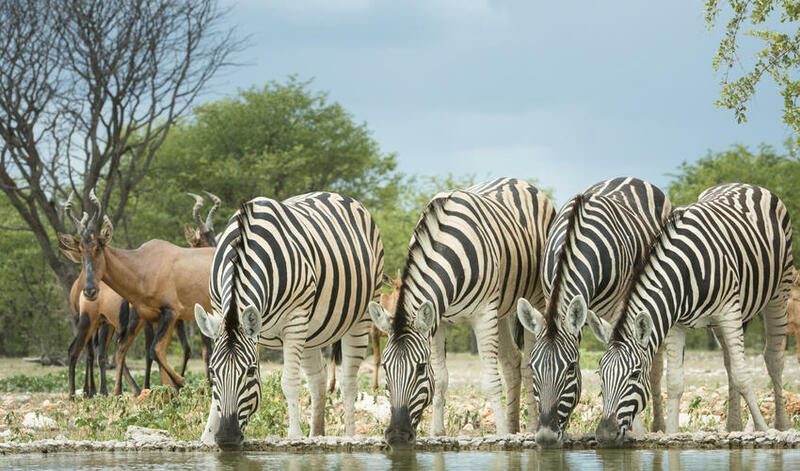 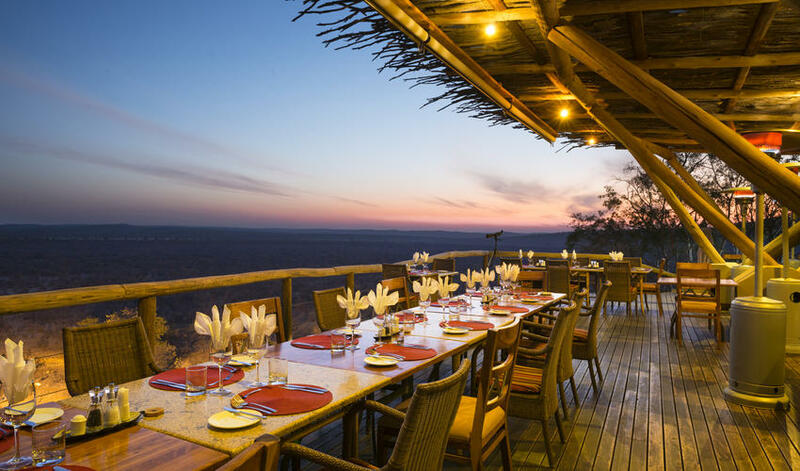 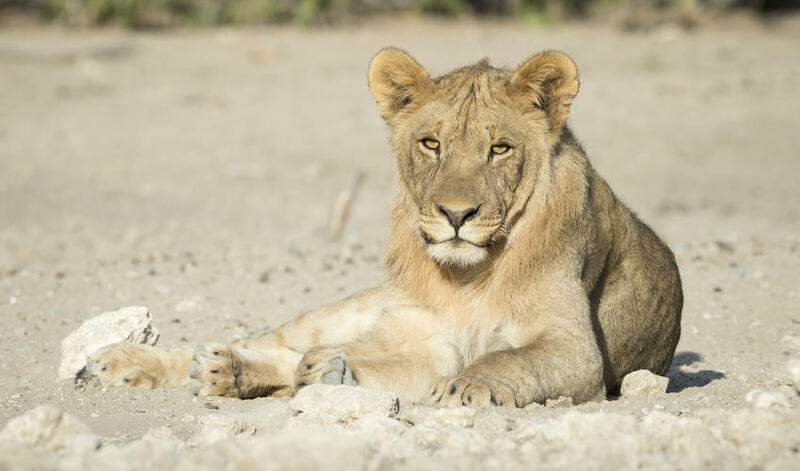 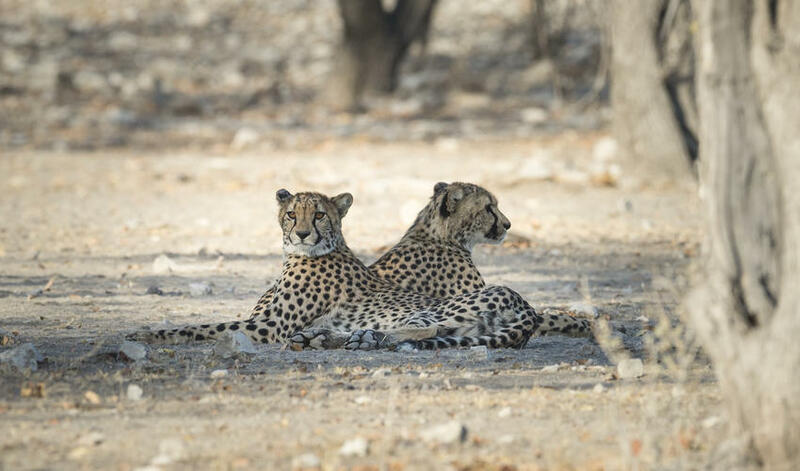 Ongava Lodge is located in the Ongava Game Reserve, sharing its border with northern Etosha National Park. 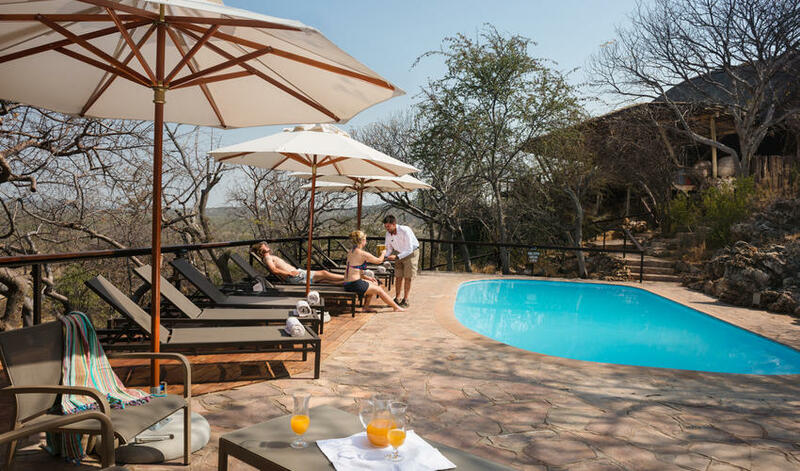 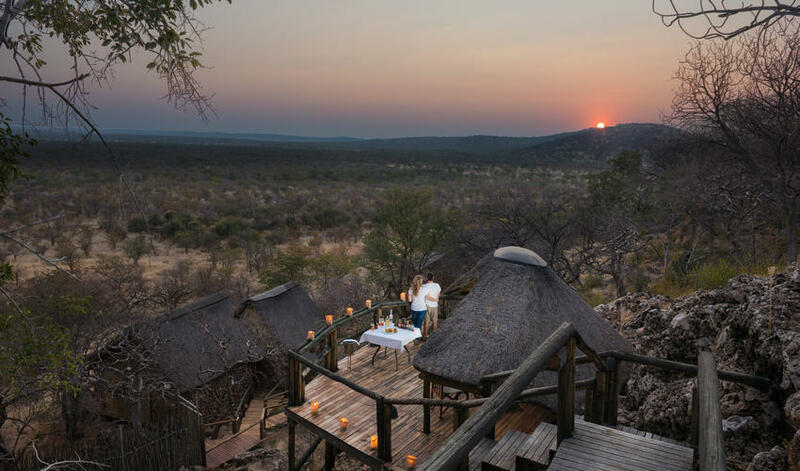 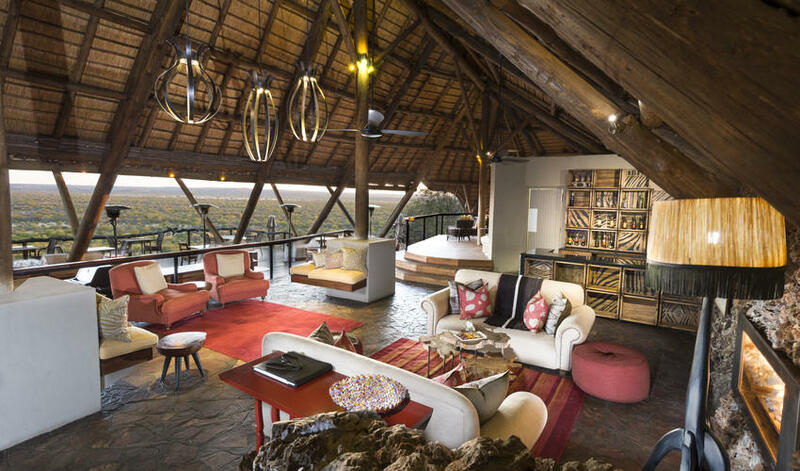 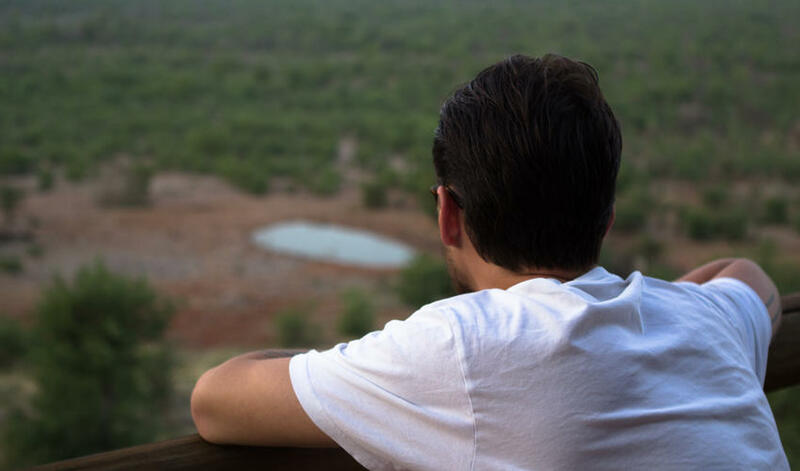 Its 14 en-suite chalets are traditionally-built with rock, brick, and thatch and boast private, covered verandas with spectacular views of the plains below. 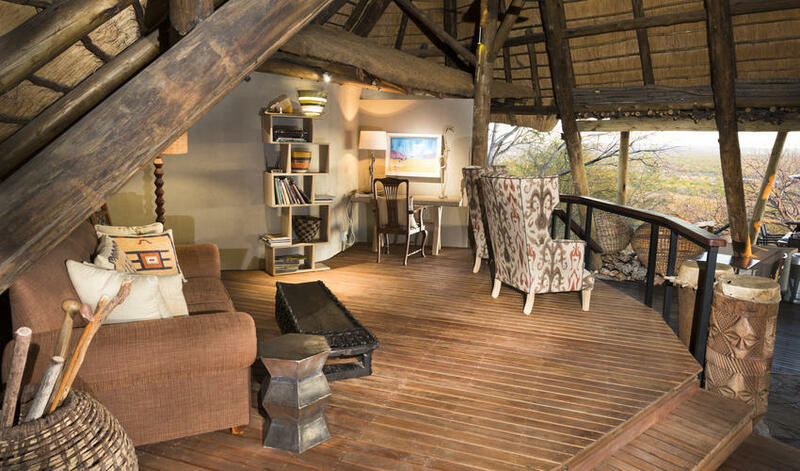 We love the feel of this lodge. 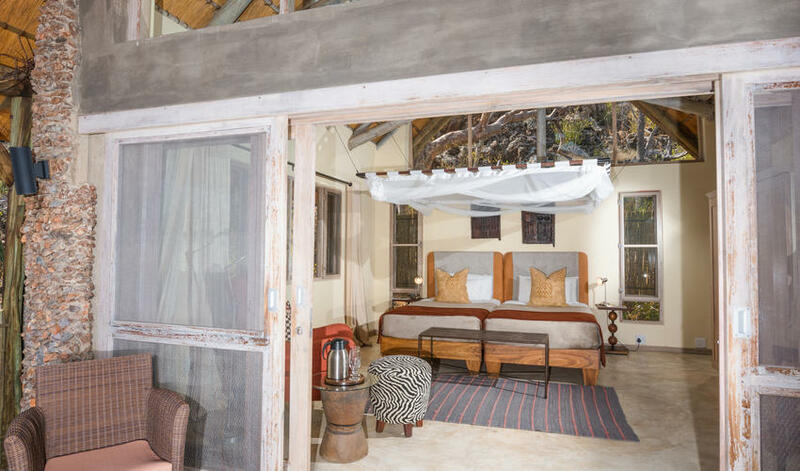 The rooms are lovely with earthy tones and private decks with stunning views. 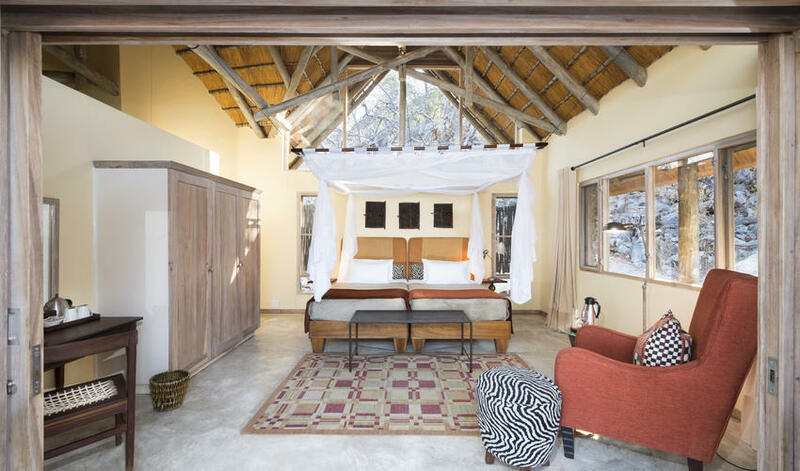 Air conditioning and overhead fans ensure a welcome respite from the heat of the Namibian day. 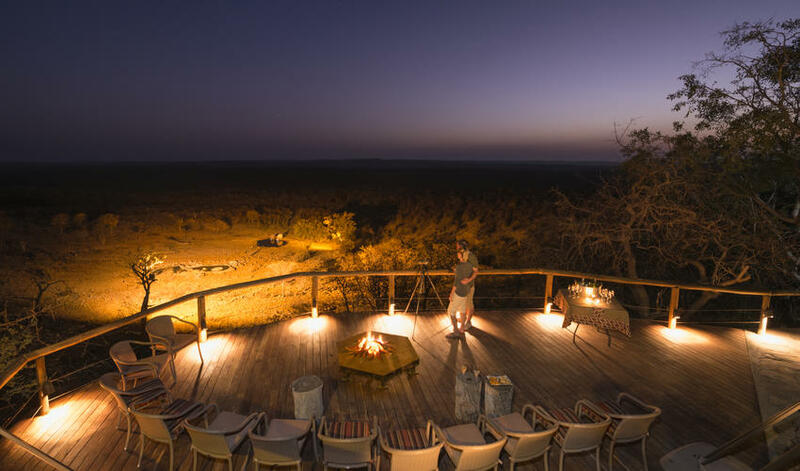 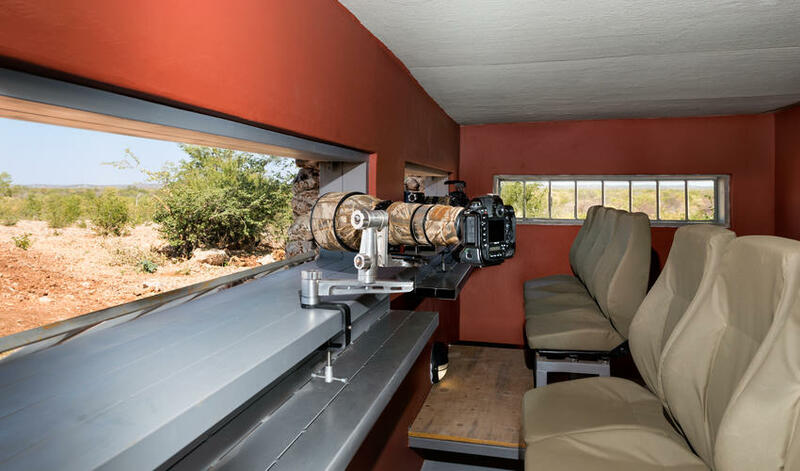 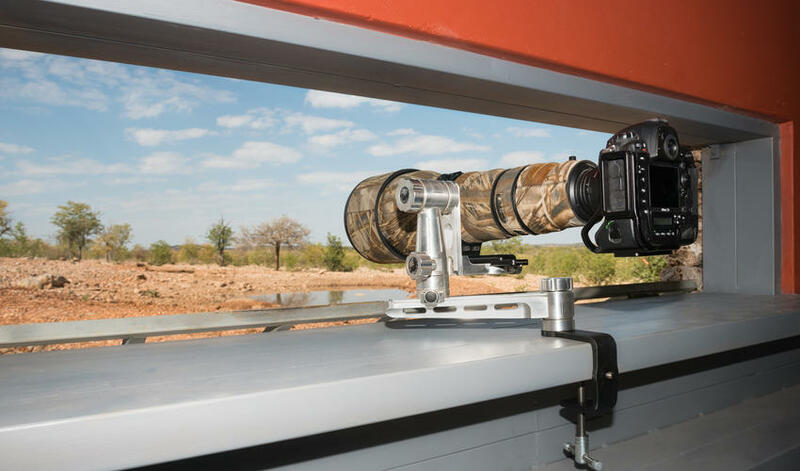 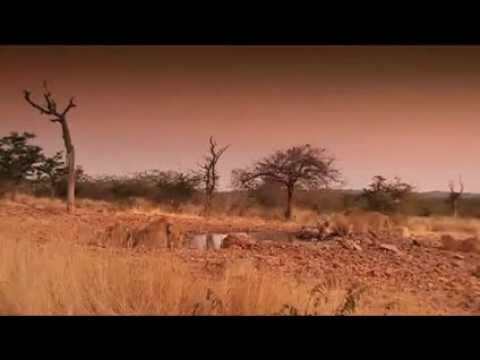 It’s also an excellent location for game viewing. 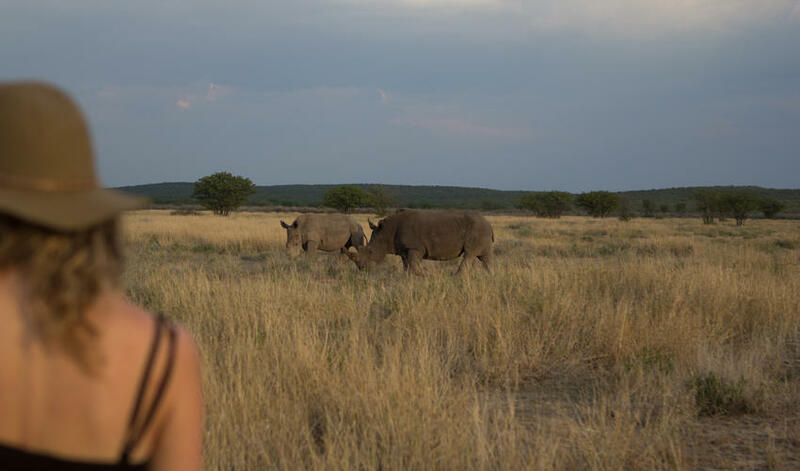 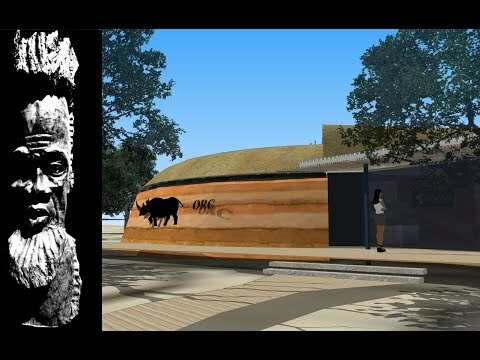 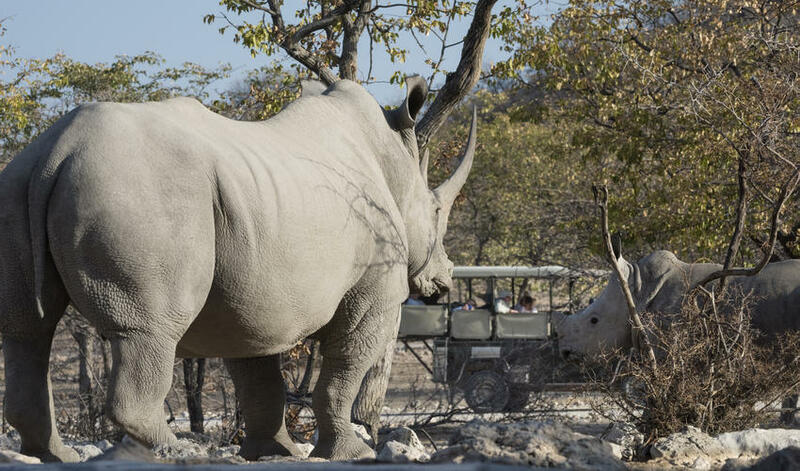 In fact, the game reserve is one of the only places in southern Africa where you can see both black and white rhino. 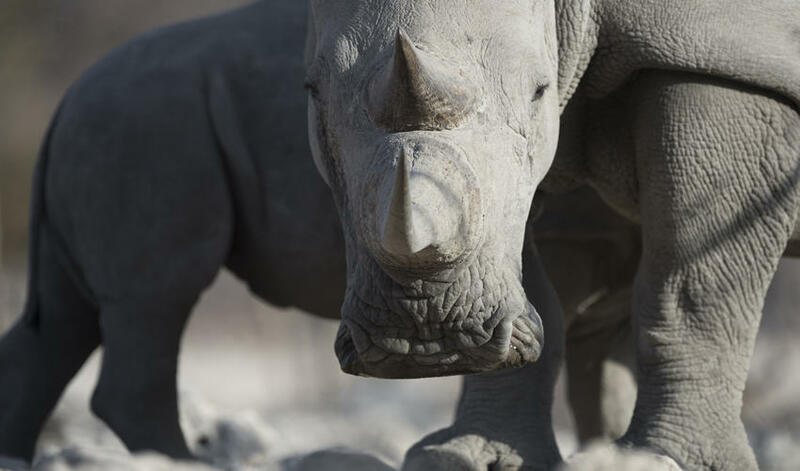 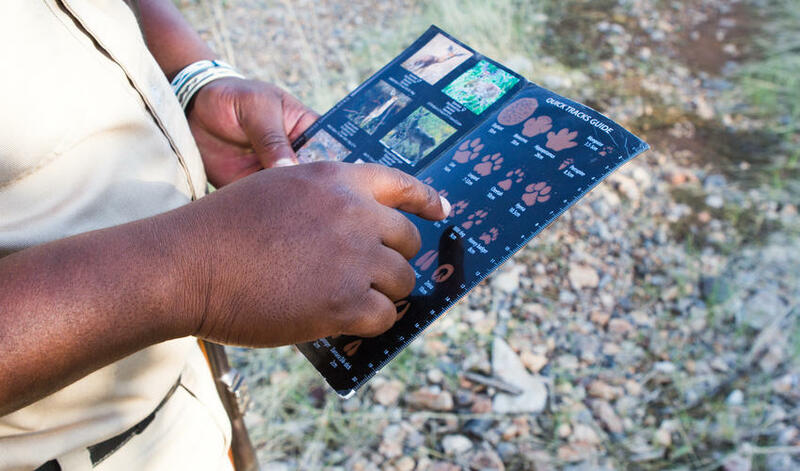 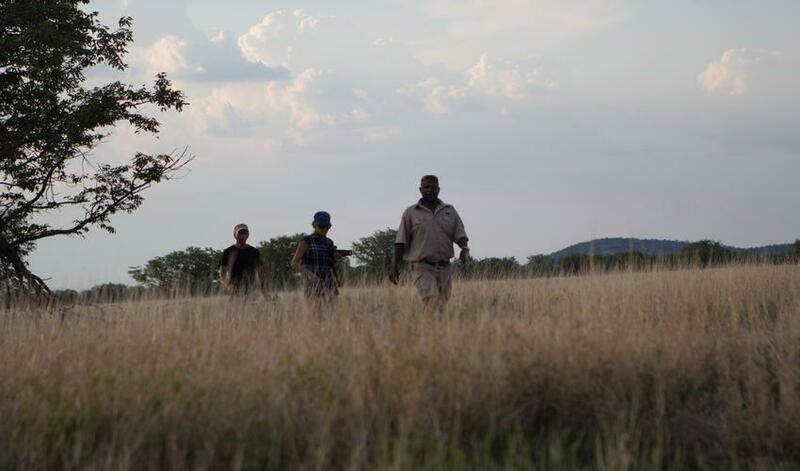 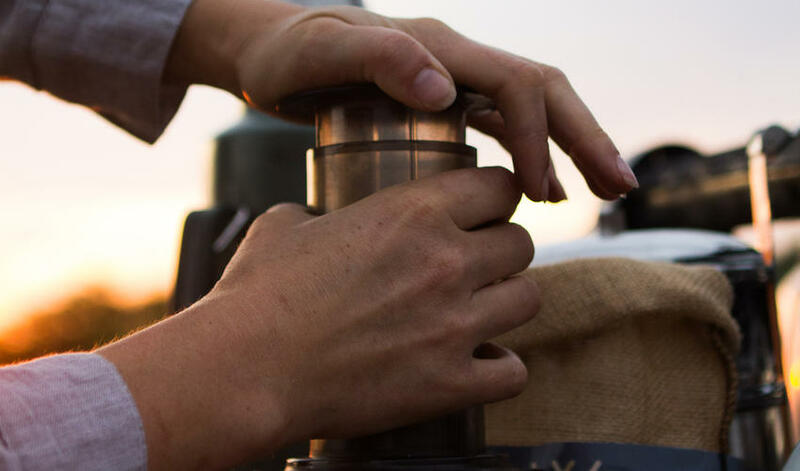 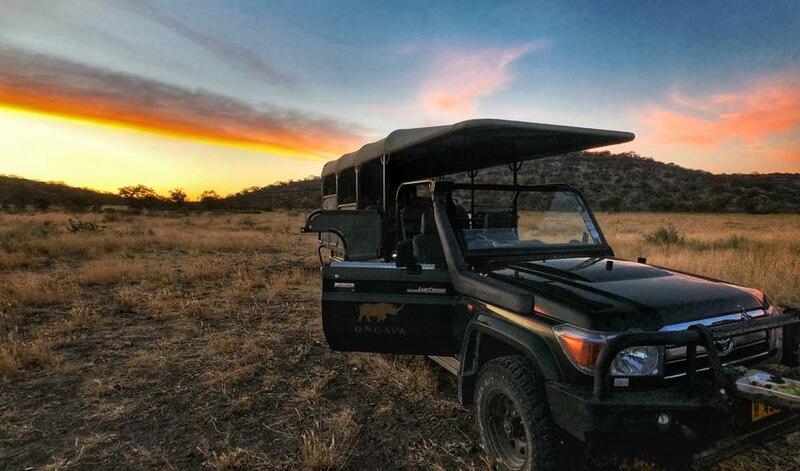 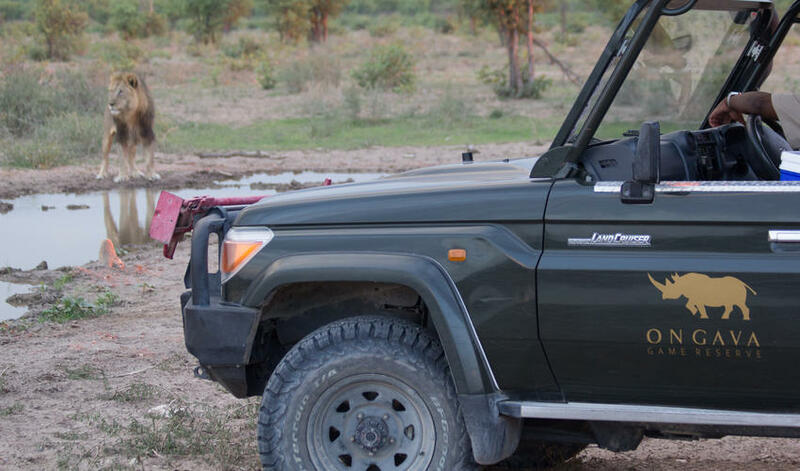 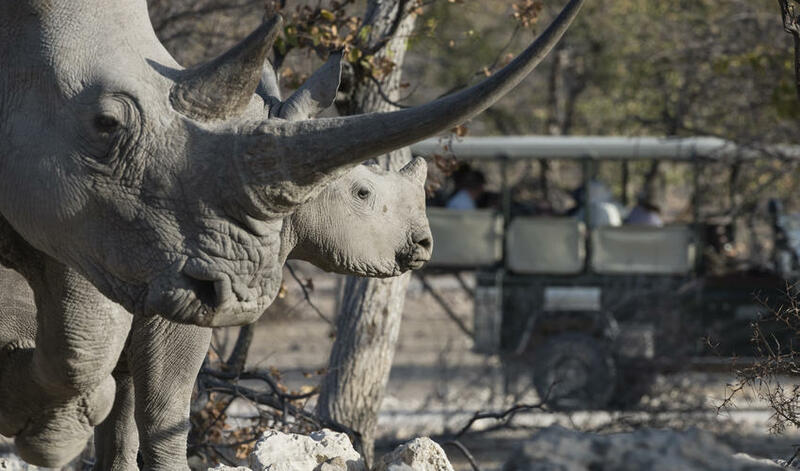 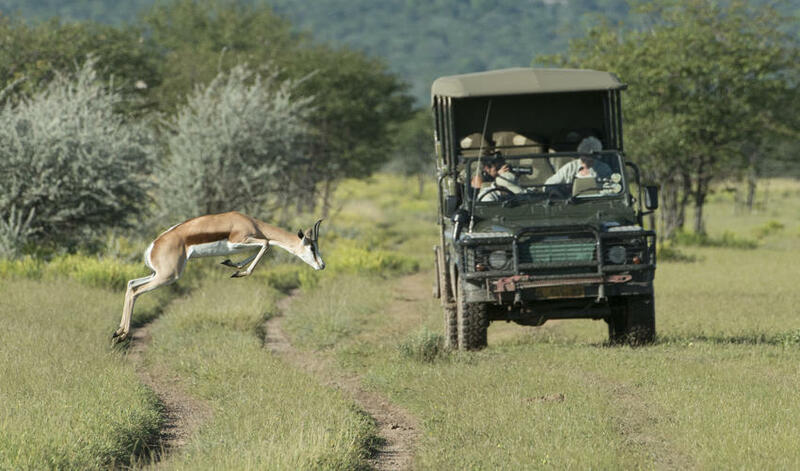 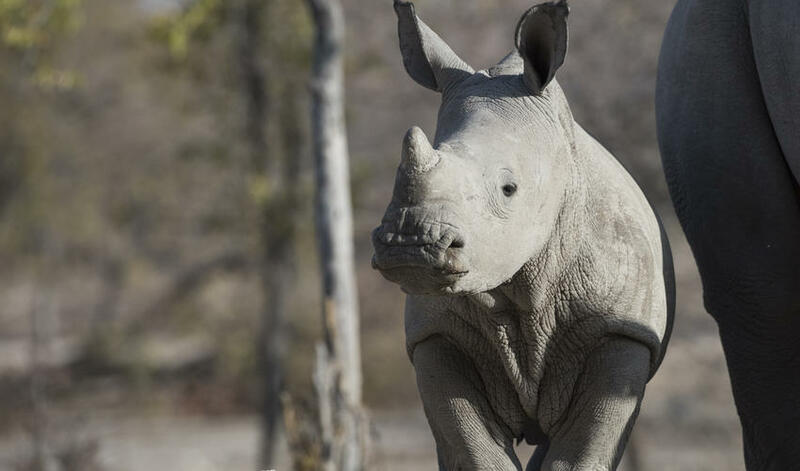 Armed guides are happy to take you rhino trekking or on game drives through Etosha National Park.